We are offering a wide range of Cladding Sheet. 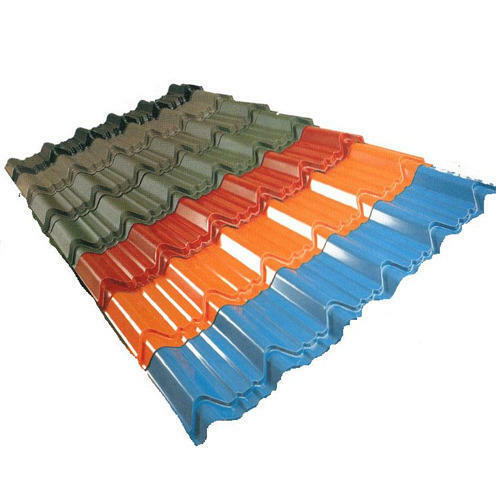 Max Roofing Systems Private Limited was established in the year 2013, as the most promising Manufacturer, trader, service provider and Supplier firm of best in class Roofing Systems. With a mission to create a pioneering range of products, today we take pride in our offered extensive line of Coated Sheets, Roofing Sheets and Structures, and Ventilation Systems. We bring together the evolving needs and ongoing technological trends and produce innovative products that are widely appreciated for its superior quality, remarkable strength, heat insulation properties and favorable longevity. Besides, our offered timely delivery, installation, and maintenance services that are rendered by trained professionals have also made us the preferred choice for a large number of clients in India. We deals in brand Lexan. We believe in expanding the frontiers of innovation that influence our business practices and equip us to manufacture products that address the long unmet needs. Due to our rigor and relevant industrial knowledge, we are instrumental in developing highly functional sheets and roofing solutions that are suitable for industrial, commercial and residential buildings. Further, we encourage diverse outlooks and industrial expertise of our skilled workforce that work in a disciplined and accountable work environment. Owing to their hard work and passion for excellence, we have gained the reputation of being a client centric organization that deliver quality product right on time.